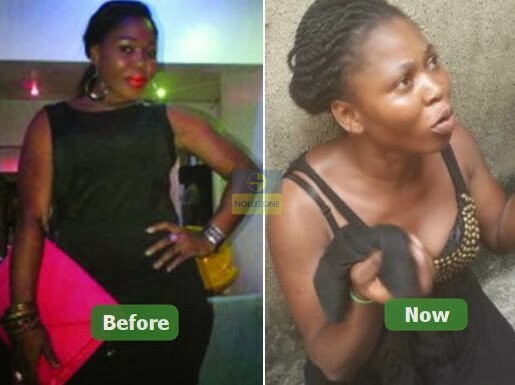 Popular Nigeria Actress, Yetunde Akilapa has been charged to court with burglary and stealing. The 32-year-old actress appeared before an Ikeja Chief Magistrates’ Court today where she was charged with burglary and stealing. She pleaded not guilty by reason of insanity and was granted bail in the sum of 200,000 Naira with two responsible sureties in like sum. The Magistrate, Mrs Olufunke Sule-Amzat adjourned the case till October 22nd, 2018. Yetunde Akilapa who once said her problem is spiritual was last caught on the 27th of June 2018 as she was attempting to breaking into a home in Shangisha area of Ketu around 2:10pm. The resident of #7 Oladelola street in Ketu area of Lagos was caught as she was attempting to unlock the door of the complainant house with different keys.